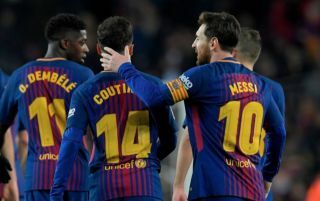 Barcelona have announced their squad for the trip to face Valladolid on Saturday night, and there was an obvious absentee from the travelling party. As per Mundo Deportivo, midfield ace Rafinha appears to be edging closer to securing a move to join Real Betis ahead of next week’s transfer deadline in Spain. With that perhaps in mind, the 25-year-old hasn’t been selected by Ernesto Valverde in the squad for this weekend’s clash with Valladolid, which is essentially another major hint that an exit is in the works and Barcelona don’t expect to be able to call upon him in the coming months. After an impressive loan spell with Inter in the second half of last season, there was arguably a case to be made that the Catalan giants should keep Rafinha to allow him to build momentum and establish himself as an important part of Valverde’s squad. Despite the fact that he appears to be on the right track now after suffering with his fair share of injury woes, as well as the fact that Barcelona may need quality depth this season to compete on various fronts, it doesn’t appear to be enough to warrant keeping Rafinha. Although there has yet to be an official announcement on an exit, Rafinha’s absence from the squad this weekend would suggest that perhaps something is brewing, and the fans in the tweets below certainly all noticed that he was missing in an otherwise strong group as Barcelona look to make it two wins in two games to start the La Liga campaign.